"Where others see trash we see treasure. We wanted a Café sporty on the cheap so we set about finding a crashed bike we could build as budget-minded as possible. We started with the bars or lack of them, by adding clip ons, removed all the junk on top of the triples, and prototyped a cool intrument cluster and headlight relocation piece that moves the headlight and gauges down. We also prototyped a key and coil relocation piece to get rid of all the plastic under the gas tank. We then threw on her all the RSD product we had, fixed the tank, chopped the rear fender and painted her on the cheap. For under 10K we brought her back to life and she’s better than ever." 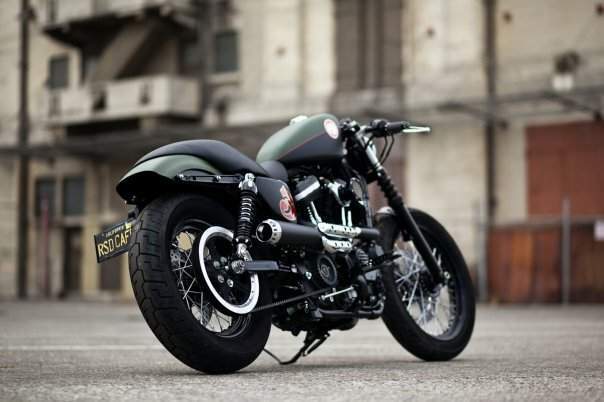 This bike uses a series of Roland Sands custom parts to transform a standard Harley XL Sportster in to a leaner more aggressive looking, "Café Racer" inspired creation. "The Café Gauge & Headlight Re-Locator moves your stock speedometer from the top handlebar clamp to the front of the top triple clamp and lowers the stock headlight 2 inches. 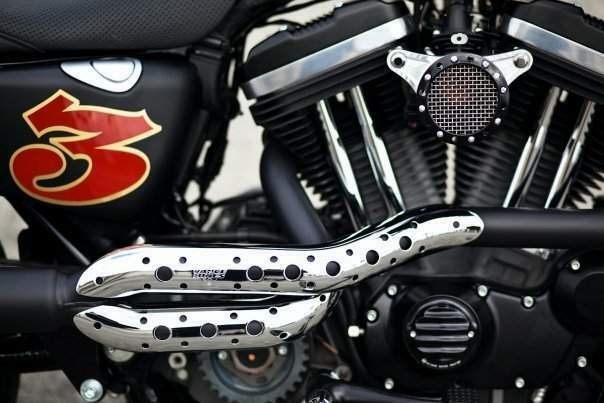 It allows for use of any aftermarket risers or completely eliminates the risers for use of the RSD Café 39mm Clip-Ons. The Clip-Ons mount to the front forks, below the top triple clamp for a low handlebar position. Our Coil Ignition Re-locator moves the location of coil and ignition switch from under the neck of the bike to between the V of your motor and removes the plastic wire caddy to expose the frame of your bike above the front cylinder. 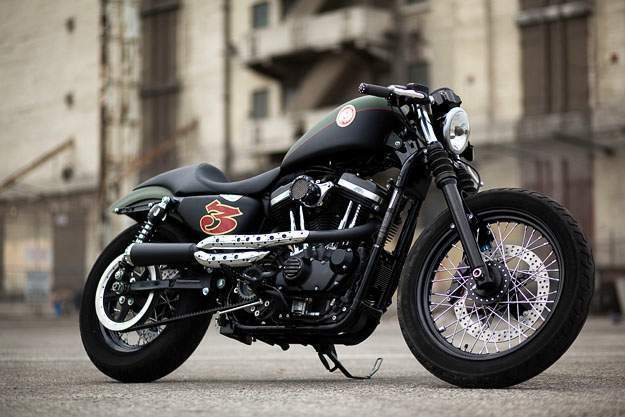 Transform your XL sportster into a Café Racer."